Quote of the trip: "…crossing Greenland, what could possibly go wrong"
Well, after 27 days on the ice sheet, up to -27.4 degree nights, 538.5kms as the crow flies between camps (closer to 600kms when incorporating intra-day movements) we finally exited the glacier at Hill 660 near Kangerlussuaq at 16:00 on the 10th April 2014. Honestly, words are just not going to do a journey like this justice. It was absolutely unbelievable, such a test of endurance, will power and stamina (stubbornness?). Greenland really put a number of obstacles in our way to test our mettle – I will admit having to complete the remaining 170kms or more on a broken ski was particularly trying. Such overpowering landscape and beauty though. I think it is still to sink in what has just taken place. So, after spending the evening of the 10th and 11th in Kangerlussuaq (also known as Sondre Stromfjord) the team and I flew out to the Greenland capital of Nuuk this morning to find our flight back to Reykjavik delayed. As such, the airline has put us up in a hotel for the night (woohoo!) and we fly to Akureyri (North Iceland) tomorrow instead followed by a connecting domestic flight down to Reykjavik. I will arrive back in London a few days later if not earlier. I have not been able to weigh myself but can tell I have definitely lost body weight. It will take a little while for the body to fully recover from this journey. I am told it will be a few months at least for the tingling thickness/numbness to disappear from my fingers and toes (yes, typing feels very strange and a little painful). But the good news is no serious permanent injuries were incurred by the team, which we are all extremely grateful for. We were also very ecstatic to find a way out and make it off the glacier when we did too. 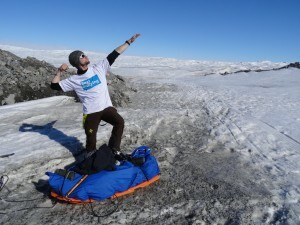 The locals in Kangerlussuaq informed us a number of teams going west to east had not been able to find a way out from the western edge and had to cancel the expeditions for the year. …I will leave it there for the moment as my fingers are telling me to give them a rest. I will write more in the coming days to give a full account of the gory details, camp life on the expedition, and the trials and tribulations along the way, including more photos. A BIG BIG THANK YOU for all the support in undertaking this challenge, and the anti-bullying cause by donating to the BeatBullying charity which I will update you on more during the next blog entry once I have caught up on everything since coming back on the radar. A special shout out to my fellow expedition team mate Bjarni for letting me use his satellite phone, and to my cousin Shaun for transcribing the short calls/updates on my behalf whilst on the journey. 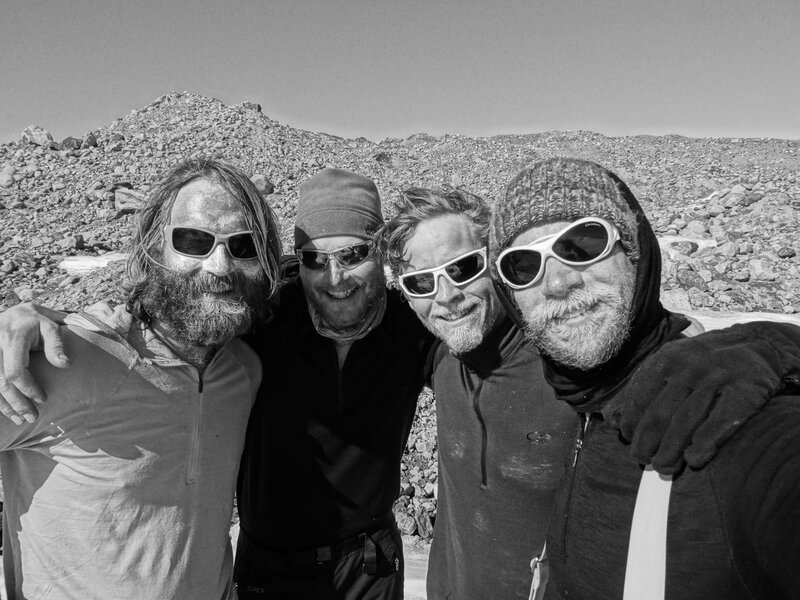 Finally, a big thank you to our expedition leader Robert Thor for guiding us safely across Greenland, particularly in light of such incredibly trying conditions and circumstances. Till next time…. You guessed it, keep on smiling! Cheers Nic 🙂 I think everything is still yet to sink in, very happy to come out in one piece (albeit with need of repairs). Hard to believe I was out there for that long, and everything that took place, an amazing adventure and one hell of a challenge. More to follow shortly… Say hi to the family for me, hope you are well! Hey Ant, Congratulations on a successful trip! Sounds like it's been pretty full on… Glad to hear you haven't lost any fingers or toes 😉 Please come visit us when you are back in London. Rory and the rest of the Snow and Rock mountain crew. Congratulations Anthony!! How cool is that?! I am so glad to hear that you back safe and sound and looking forward to reading much more about the trip. It must have been amazing! … and tough!! whouââââ congratulations ! More pictures ! Heya Jérôme 🙂 thanks! More pictures on the way, maybe even a small clip or two as well if I can figure out how.